Your privacy and security is important to us. We treat any personal information we receive from you as if it is our own. 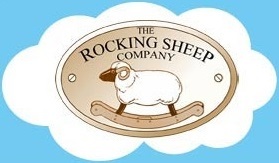 When you place an order with us at The Rocking Sheep Company we will receive your name, delivery address, email address and telephone number. We will only use these details to process and deliver your order, or deal with any queries you have related to that order. We will only retain your details for as long as necessary in order to process the transaction and will securely store any data collected during that period. After this time we will delete your data from our records. You have the right to know what personal data we hold about you, and to ask for that data to be changed or deleted. You also have the right to complain to the ICO https://ico.org.uk/ if you believe there is a problem with the way we handle your data.